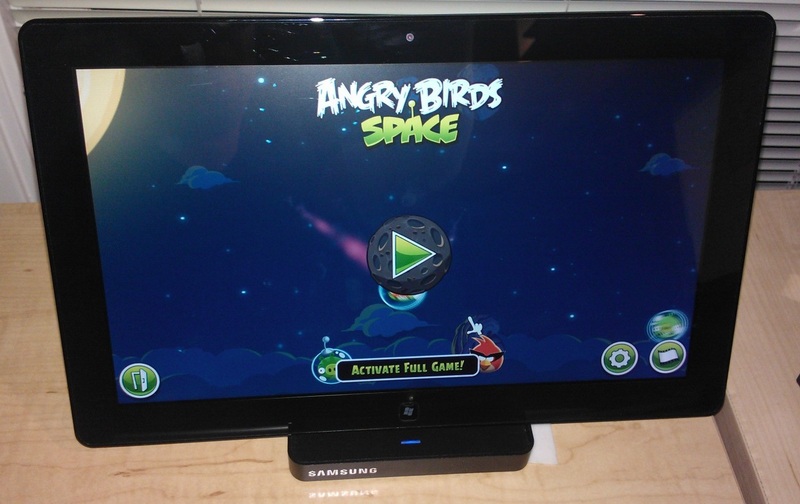 Whenever I demonstrate Windows 8 on my Samsung Series 7 slate, inevitably someone asks, “yeah, but will it run Angry Birds?” The answer is no, because OpenGL is required to run Angry Birds and OpenGL isn’t supported in Windows 8, or at least, thats what Microsoft says when you go to the forums. 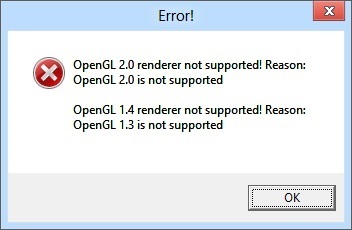 I searched for OpenGL support for Samsung and found locked forums on the subject, OpenGL support on the Samsung developers tablet and OpenGL Compatibility support on Win8. Even the Notebook Review forum had people asking for OpenGL support on the Samsung Slate, and not getting much of a response from Samsung. Samsung Series 7 OpenGL fix? After a few more searches, and I found the personal blog of Alon Fliess. 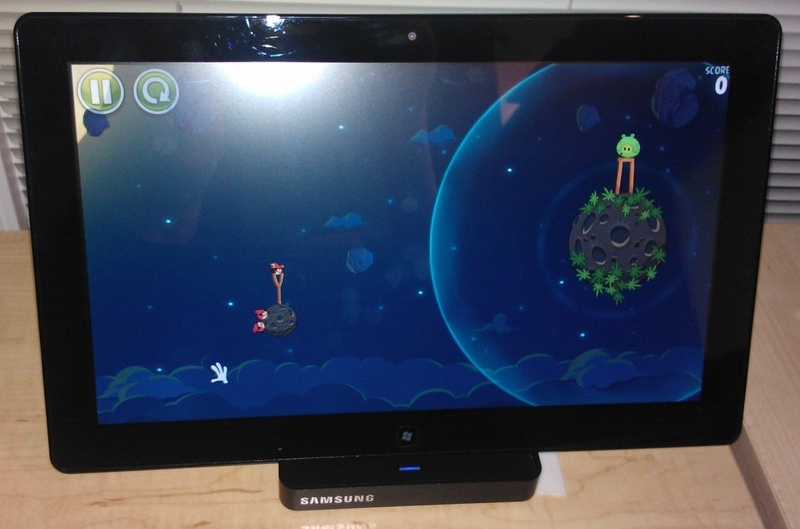 Alon posted a blog entry in April where he was able to get Angry Birds running on the Samsung Build Tablet with Windows 8 Consumer Preview. This was a fantastic article, where he goes into detail and states it isn’t actually the Samsung Slate that is the issue, it’s the driver. After all, Angry Birds runs on the slate when you are running Windows 7, right? 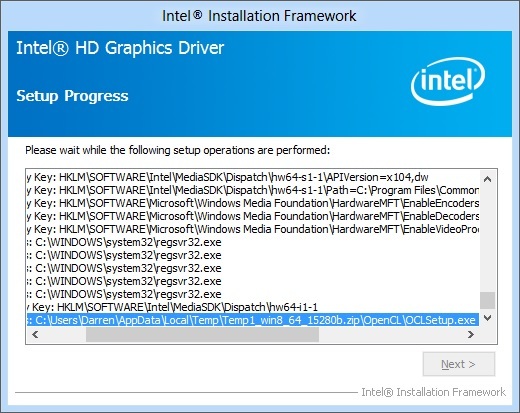 Alon details that OpenGL support is missing from the Windows 8 driver, and was able to download a Windows 7 driver that contained the INF data to edit a Windows 7 driver and add Windows 8 support to it. The problem is, you now have an un-signed driver, and you need the Windows 8 Driver Kit (WDK) to sign the driver yourself. Alon obviously knows his way around the Windows 8 development tools, and I commend him for his ingenuity. However, most people are not going to install the development kit, edit their bios settings etc, just to make a game work. People want to install a simple fix, and start playing. Thank you Alon, for pointing me in the right direction. I went to my Samsung Slate and opened the Graphics Properties dialog, (Right Click Desktop, Screen Resolution) , and opened the Advanced Settings. Lets go to the Intel website and see what they have to say. Right there, on the Intel site are beta drivers for Windows 8 32bit and 64bit, but what catches my eye are the words OpenGL Compatibility and How to access OpenGL 3D settings. 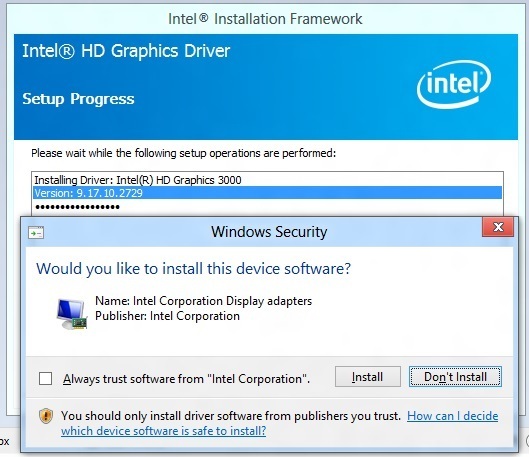 The OpenGL Compatibility clearly states that the Intel HD Graphics 3000 is OpenGL compatible. Ok, that’s confirmed. Let’s download the driver and try it out. 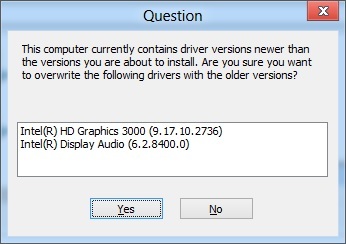 During the driver install, you get a warning that the driver is older than the current. Just say yes to install it anyway. It’s a signed driver, but you still have to accept it. Notice during the install that “OpenCL” is installed. 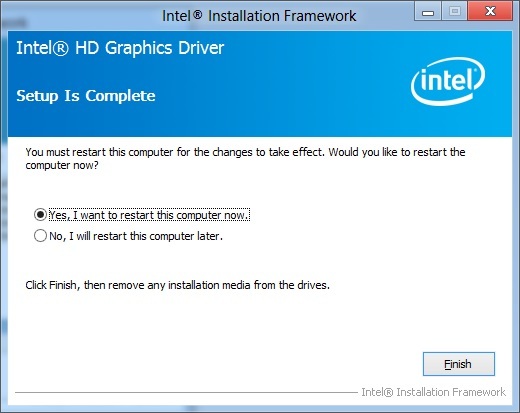 If you look at Add Remove Programs later, you will see it installed in addition to the driver. Log back in and start Angry Birds. Voila! It runs! No tinkering with the Bios, no hacking the drivers, install and go. You didn’t even have to go in and adjust the OpenGL settings. That is my kind of fix, and one the majority of the people using the Samsung Slate can use. I hope this helps! For those of you with ATI or AMD Radeon & Crossfire devices (I have the Acer Iconia W500), There are new Windows 8 Release Preview Drivers for you as well. AMD Catalyst Windows 8 Release Preview Drivers. I installed them on the Acer W500, and Angry Birds runs on it too. ← Release Preview? Windows 8 may be sooner than expected.